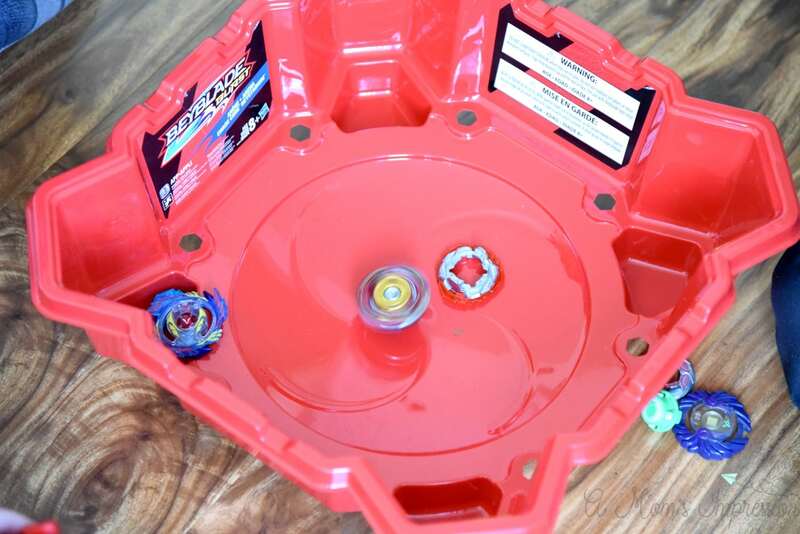 Are You Ready for the BEYBLADE BURST World Tour! Imagine you have put in all the research, all the training and all of the time. 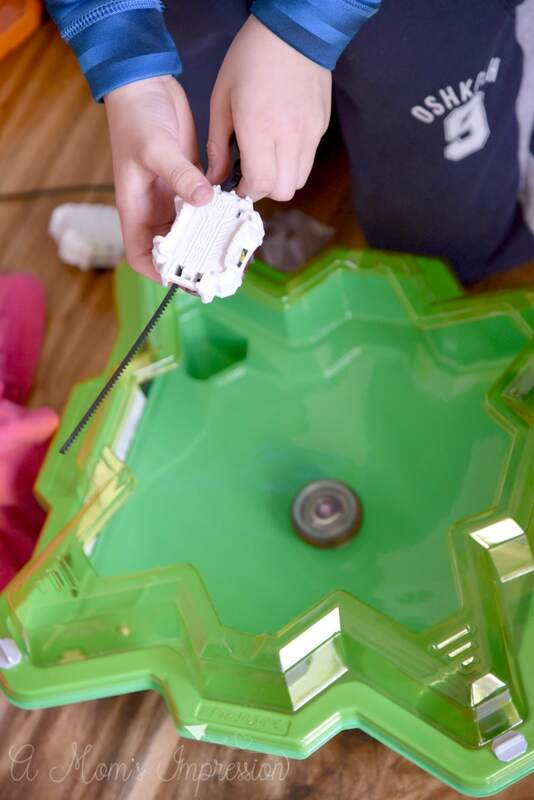 You have put together the perfect customized BEYBLADE BURST top to compete against others all over the world. Some Bladers are aggressive, attacking ruthlessly. Some are patient and tire out the enemy, waiting for the right moment to strike. Some focus on defense, never letting their guard down and never letting the enemy getting the upper hand. The true champion will have to have a perfect balance of these things, combining them to take on anyone that dares to enter the area with them. Does this sound like a new blockbuster gladiator movie coming out this summer? 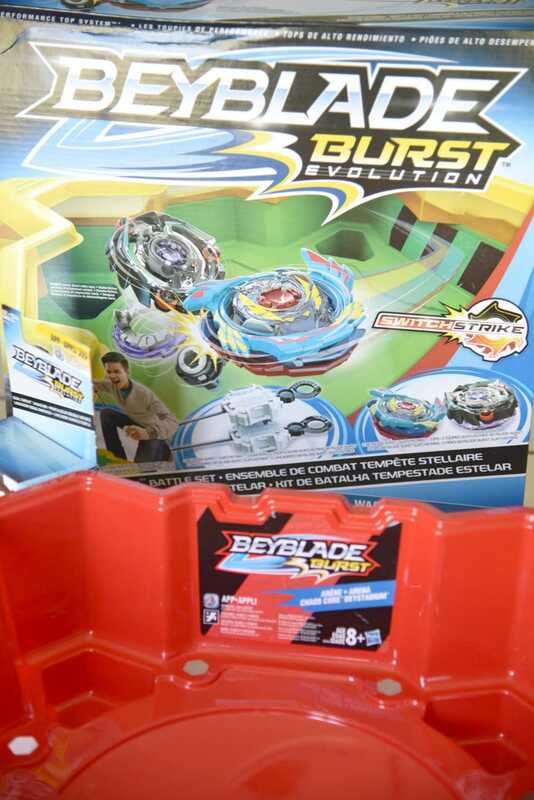 Believe it or not, you can pack all of this strategy, drama and action into your living room with the help of BEYBLADE BURST. 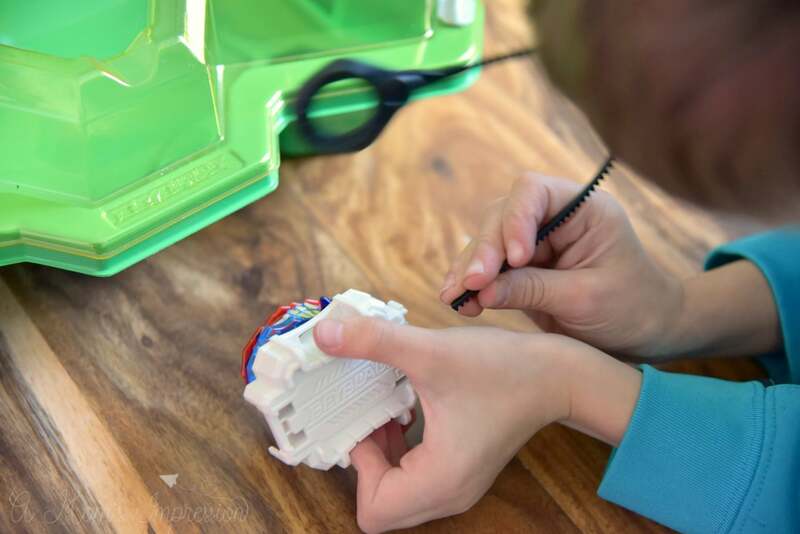 BEYBLADE BURST is the revolutionary Hasbro Product that lets you build your perfect BEYBLADE BURST top and compete them against your friends. You can do this by building your Beys. 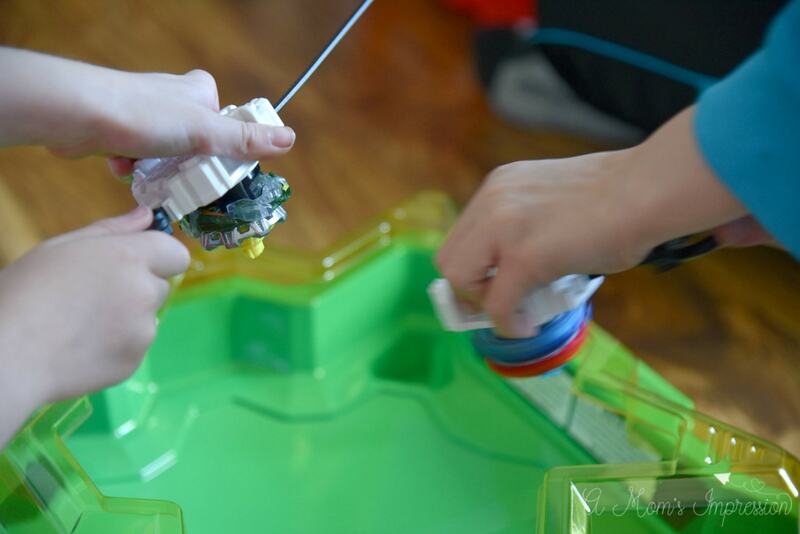 These are spinning battle tops consisting of three different layers that you can customize to create the ultimate fighting machine. You unleash your Beys in the BEYSTADIUM. There are a number of different BEYSTADIUMS to choose from that will affect your BEYBLADE BURST battles. 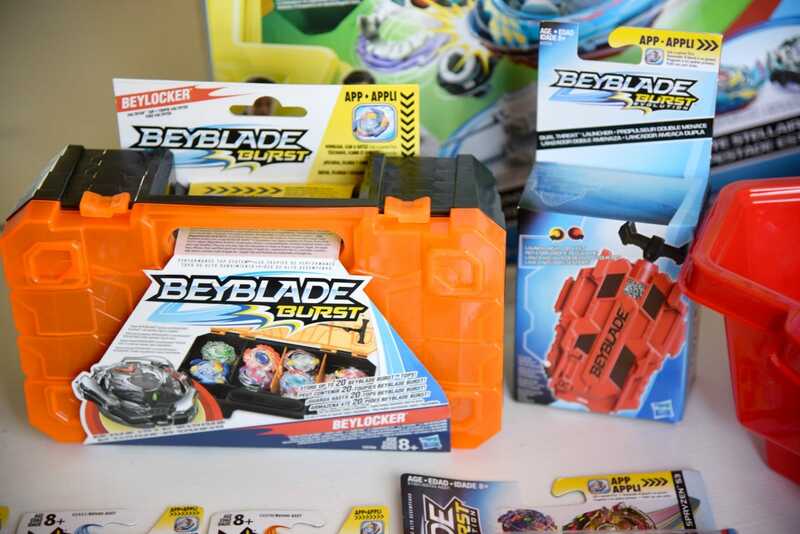 Just pull the ripcord of the ORIGINAL BEYBLADE BURST LAUNCHER and set your spinning tops on a path of destruction in the BEYSTADIUM. Only one Bey will survive. So, how do you win the battle? That is a large part of the fun. As mentioned above, each Bey is made up of three different layers. There is the ENERGY LAYER. This determines how the BEY will battle with an opponent when they encounter each other. There is also the two-part FORGE DISC. This affects the top’s center of gravity and weight. Changing the FORGE DISC will change the behavior in battle. Lastly, there is the PERFORMANCE TIP, which guides the movement patterns of your Bey. Will your Bey stay steady at the center of the stadium and await an attack? Or will it dance around and look for an opening. Mix, match and combine all of these elements to perfect your Bey and compete with it against friends and family. With the different BEYSTADIUMS to choose from, you have hundreds of different combinations available to you. These tops also include the exciting “burst” feature, which sometimes causes the tops to burst into pieces when they lose. Attack Type-These Beys are designed to move quickly around the BEYBLADE BURST Beystadium and attack with tremendous power! Stamina Type-One way to win a fight is to simply outlast the energy of the opponent. So while the other top may wear itself out circling around endlessly, these Beys spin patiently in the center of the arena and outlast their opponent. Defense Types-These Beys are able to defend against all sorts of attacks and stay stable and stationary in battle. Balance Types-This Bey combines the qualities of Attack, Stamina and Defense types. Do you have the perfect Bey? Are you ready to take on anyone around the world? 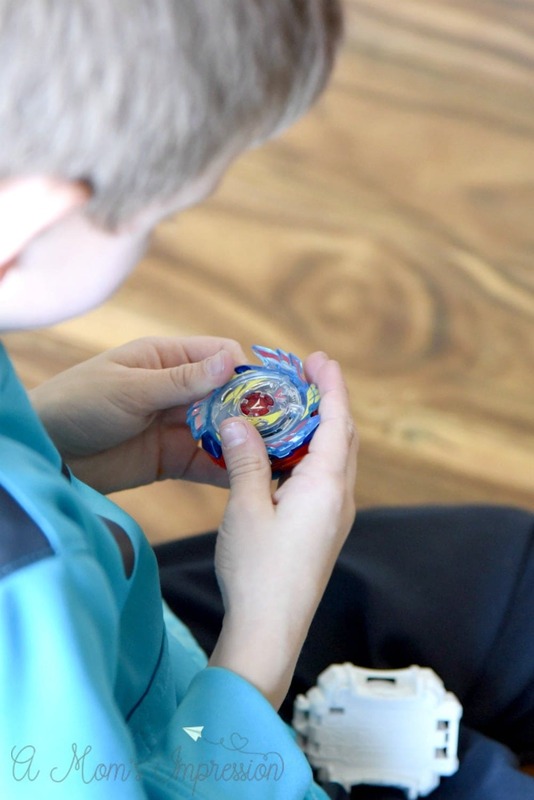 If so, get ready to get your spin on because the BEYBLADE BURST WORLD TOUR is bringing together masters from the age of 8-13 for head-to-head clashes in numerous regions around the world. The top Bladers will go on to compete for the National Championship. The National Champions will earn a chance to compete with other Champions around the globe at the BEYBLADE BURST World Championship, which will be held at Kidexpo in Paris on November 3rd! You can jump straight into the action by watching BEYBLADE BURST EVOLUTION. This is an exciting show on Disney XD every Saturday morning at 8:30 am. It follows the main character, Valt, as he battles his way to the top of the Beyblade world. Valt teaches us the value of hard work, determination and competition. Watch episodes here! You can catch up on all of this action of BEYBLADE BURST and BEYBLADE BURST EVOLUTION on the official YouTube channel. Do you have what it takes to spin to the top of the competition? Are you willing to find the winning combination to defeat all of your opponents? Find out now by trying out BEYBLADE BURST for yourself. The last top standing wins! I think my son would love this! He’s just a bit younger than your son! We’re going to have to check them out!